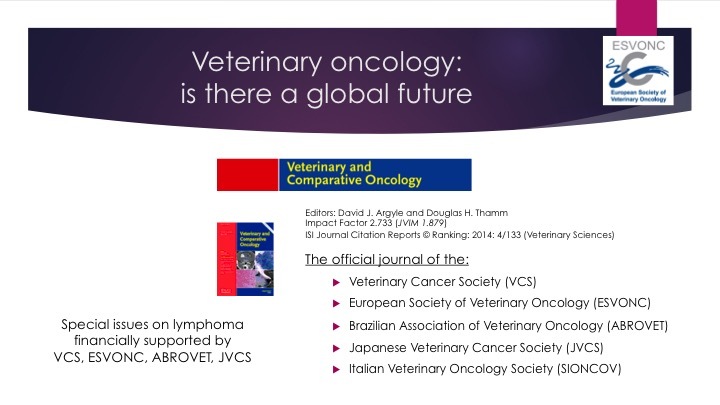 At the World Veterinary Cancer Congress in Foz do Iguaçu (Brazil, 26 - 29 May 2016), former ESVONC Board member dr. Johan de Vos (Terneuzen, The Netherlands) held a lecture on the status of Veterinary Oncology in Europe. 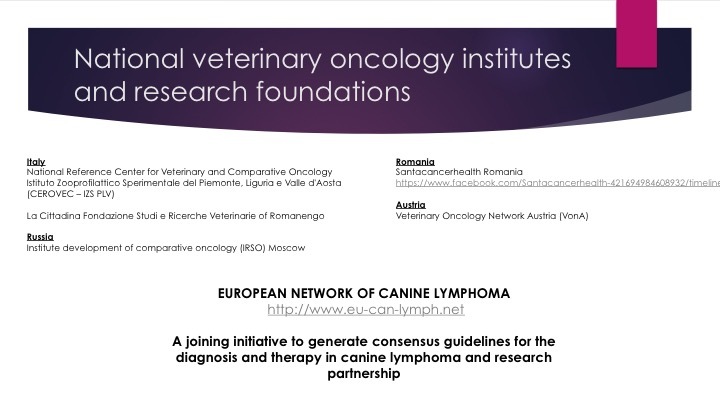 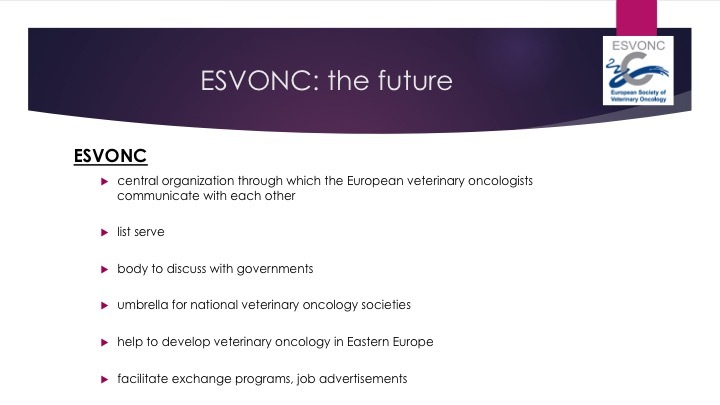 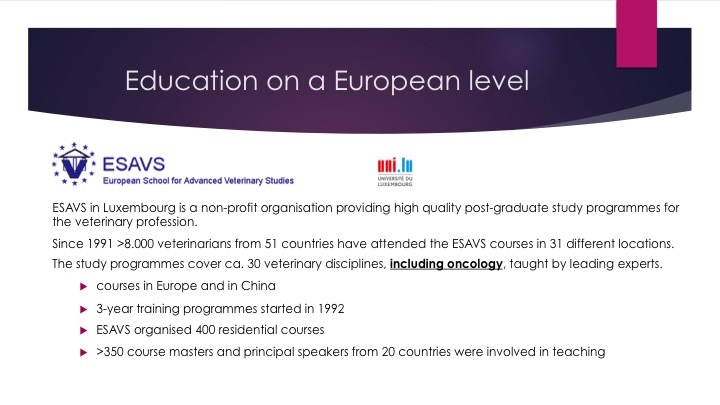 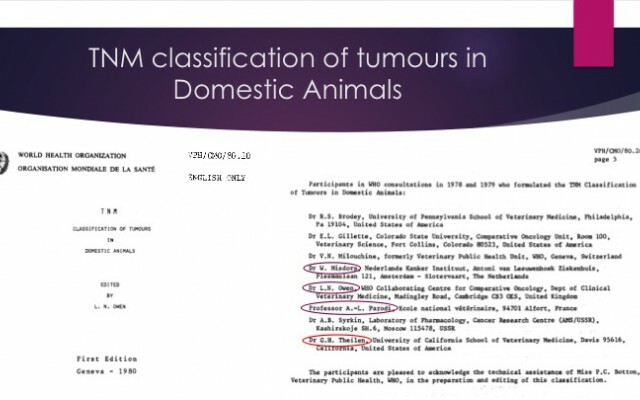 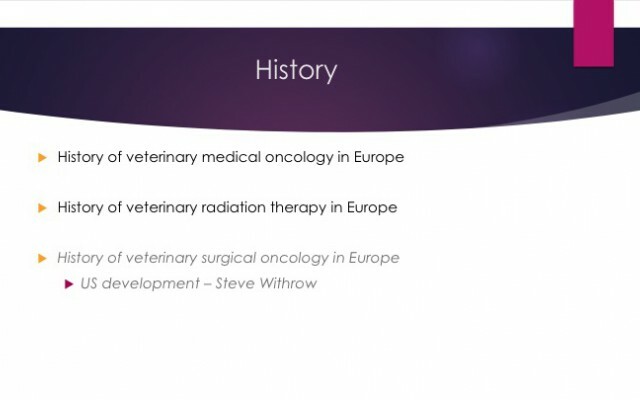 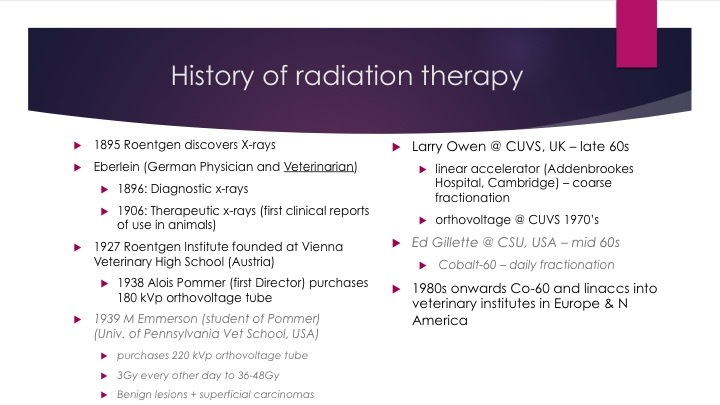 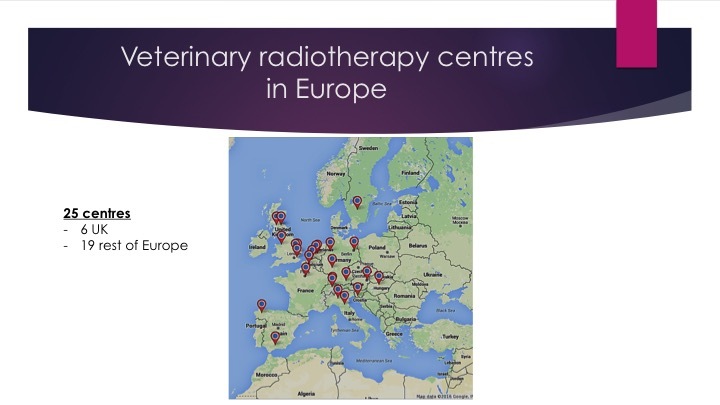 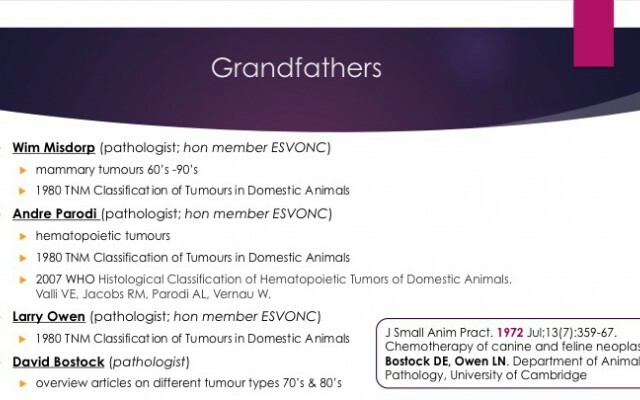 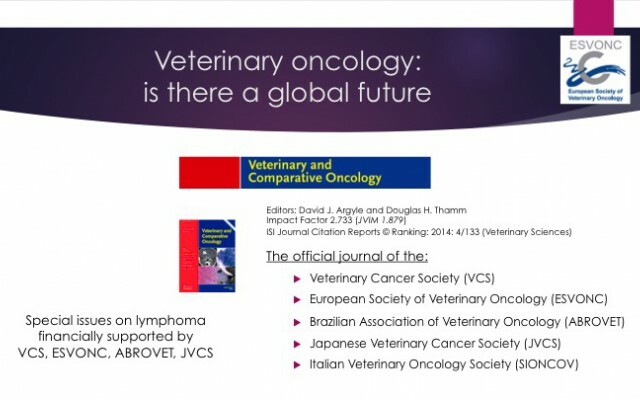 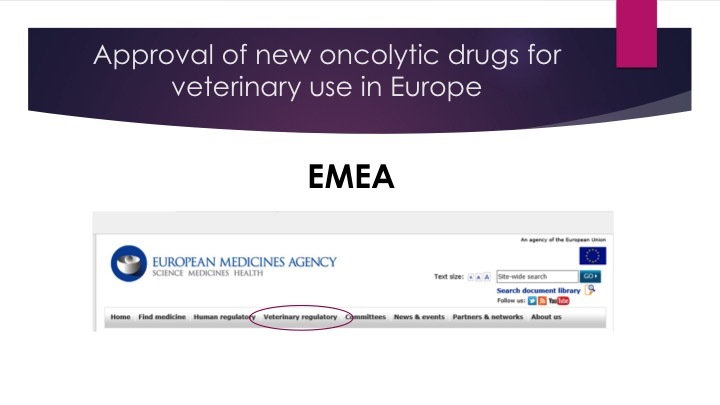 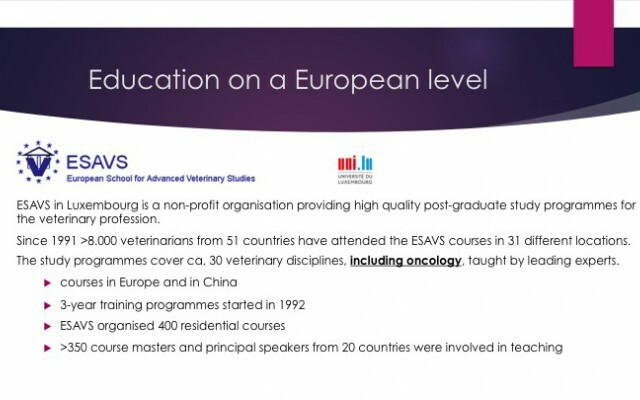 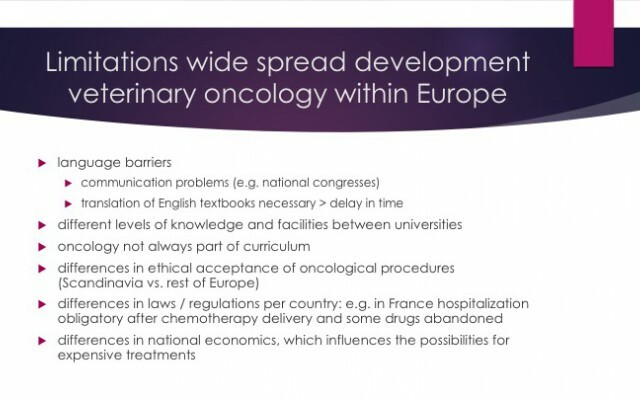 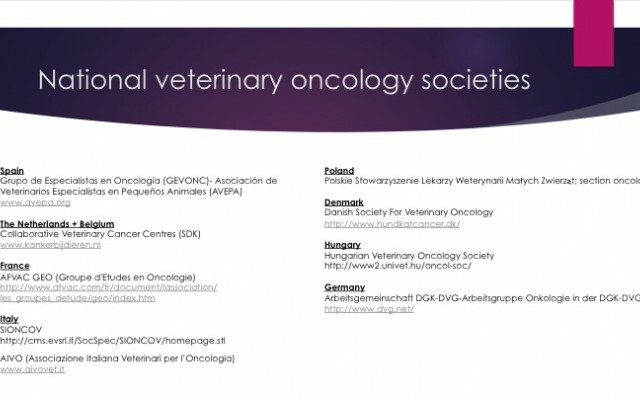 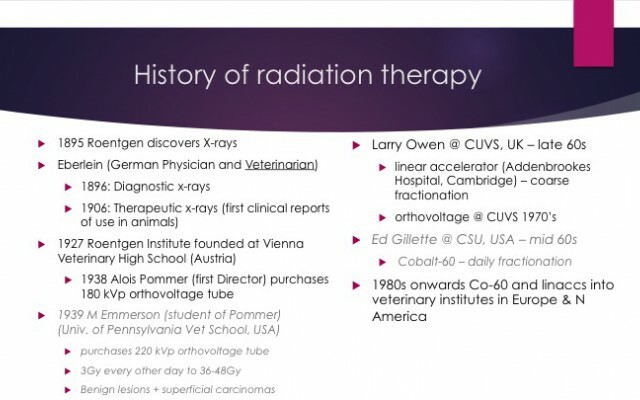 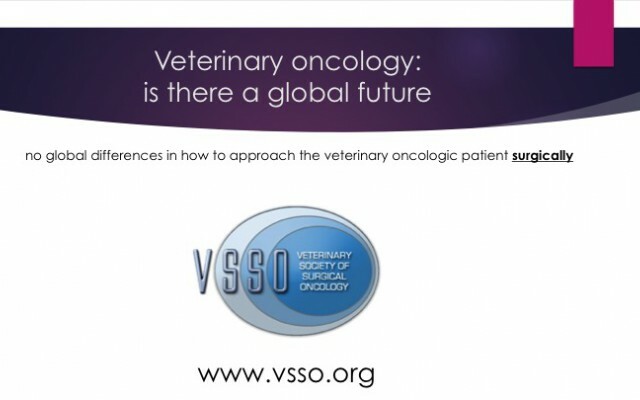 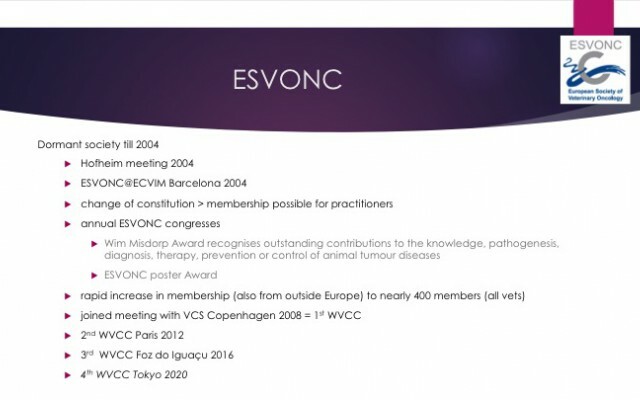 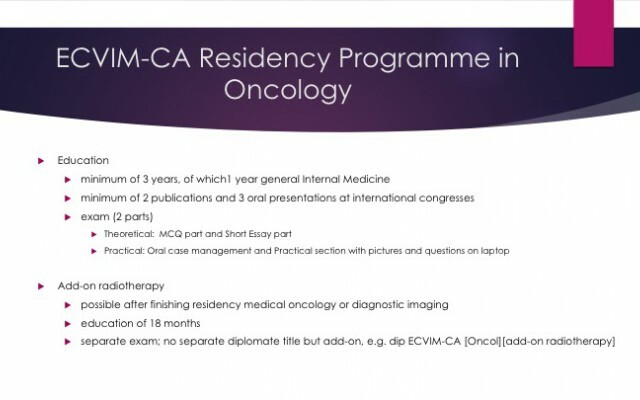 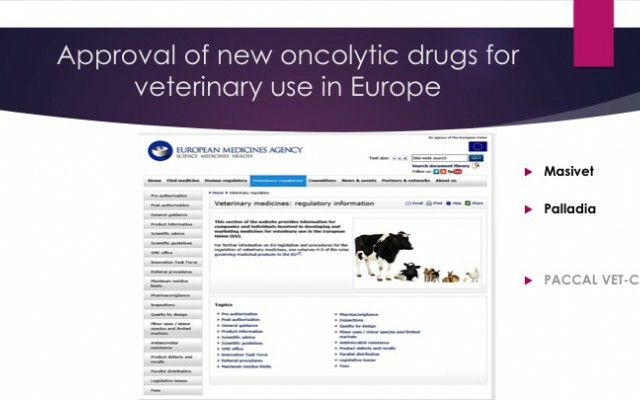 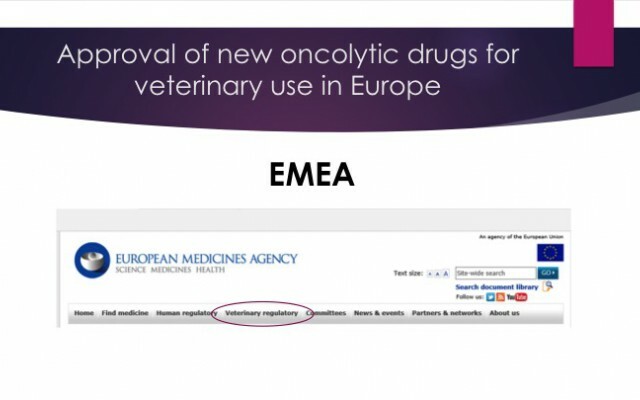 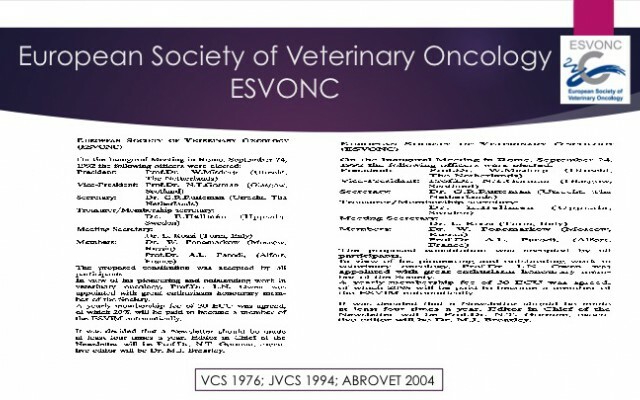 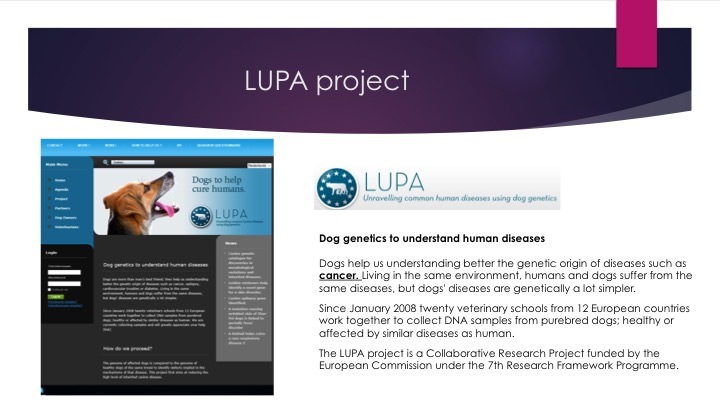 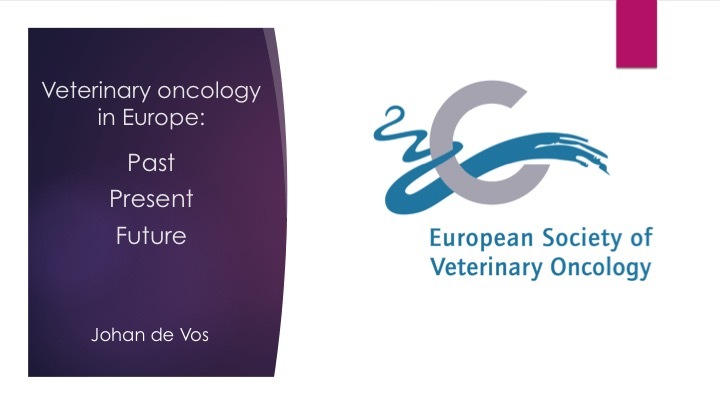 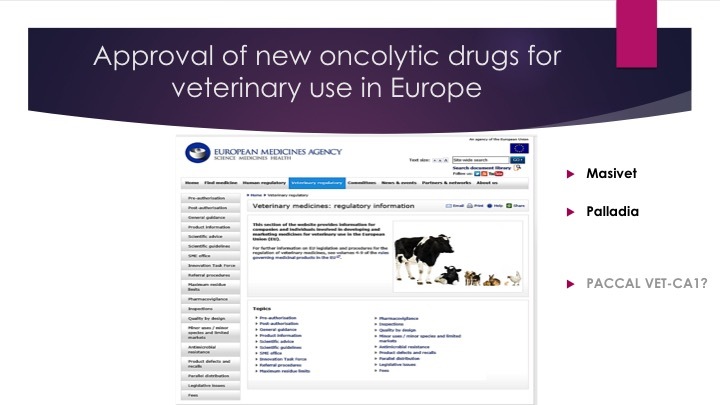 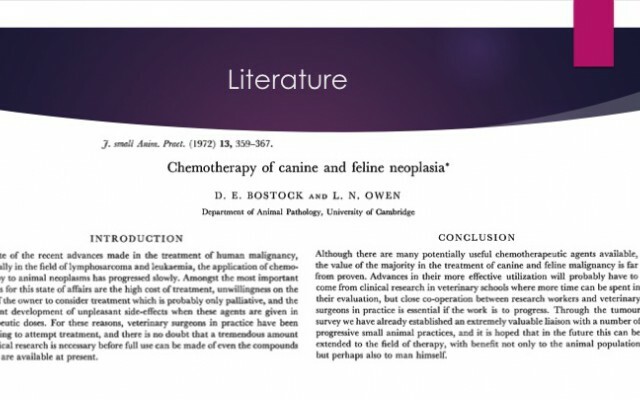 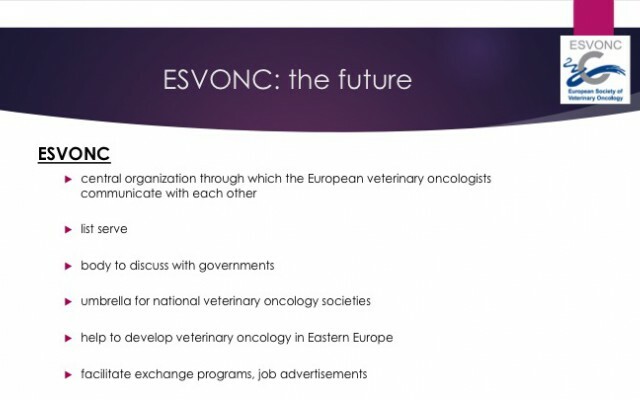 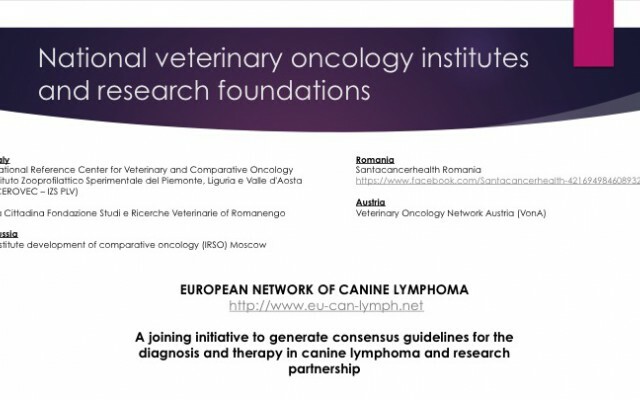 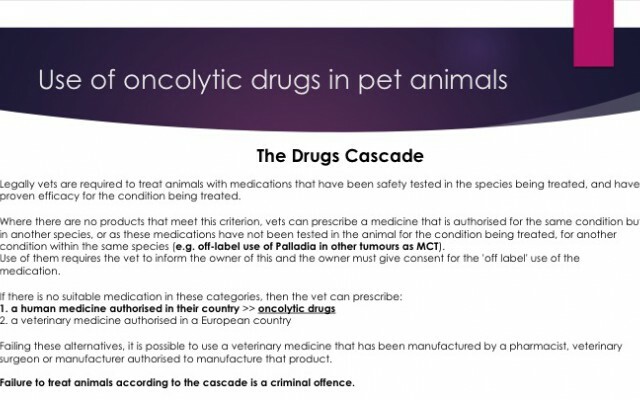 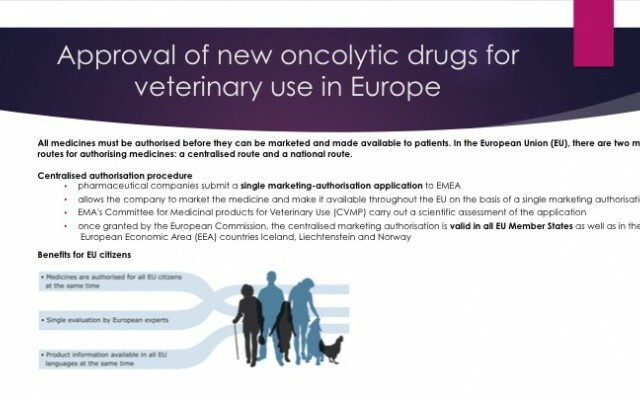 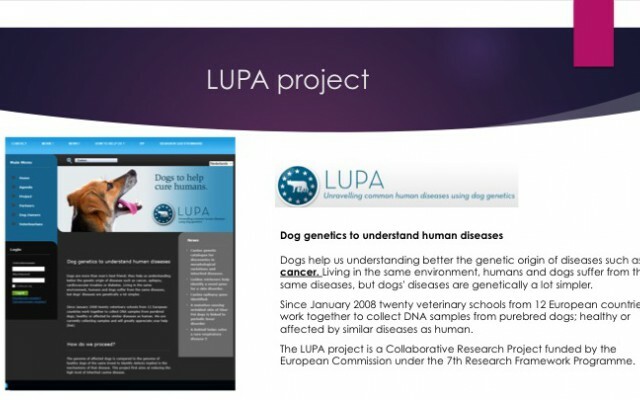 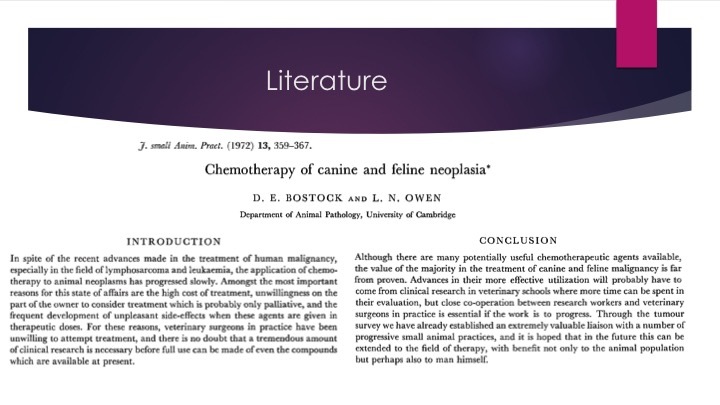 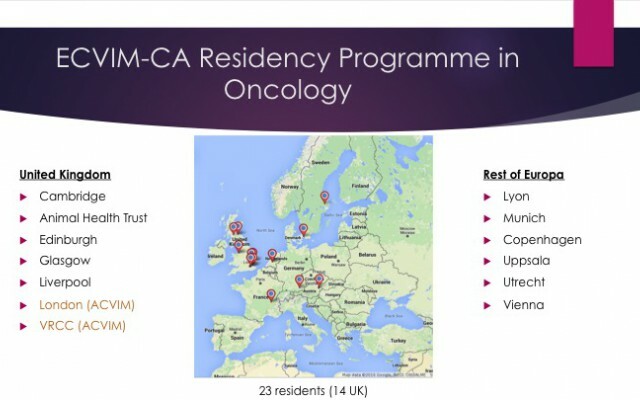 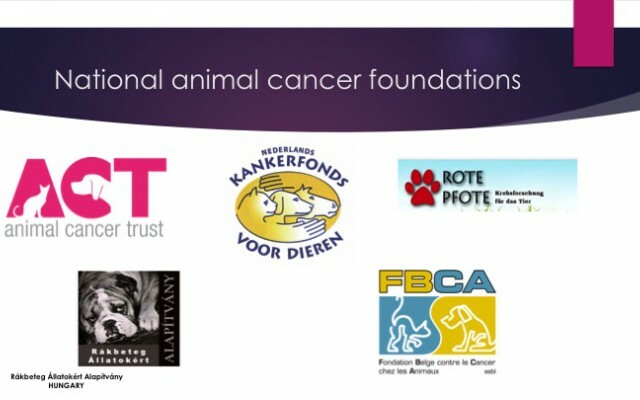 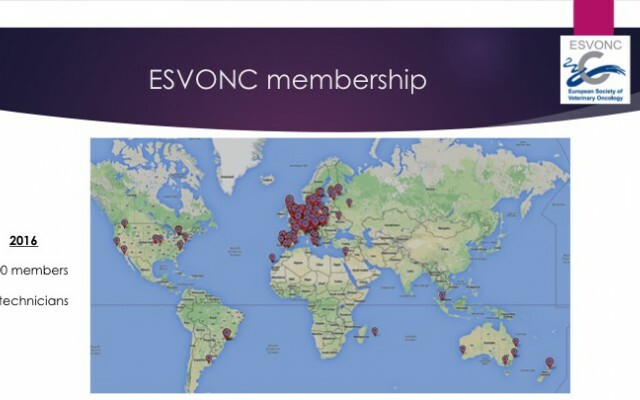 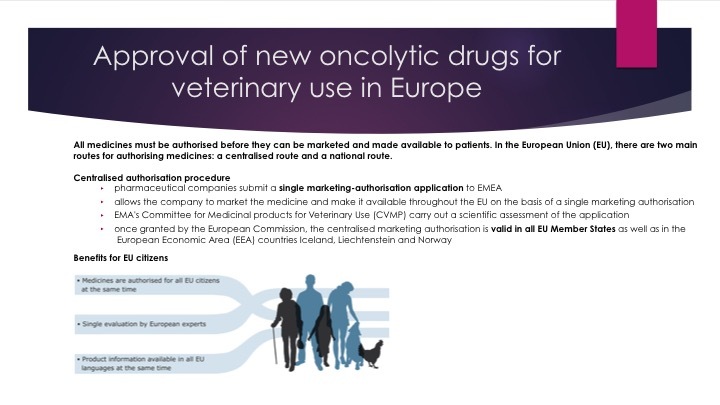 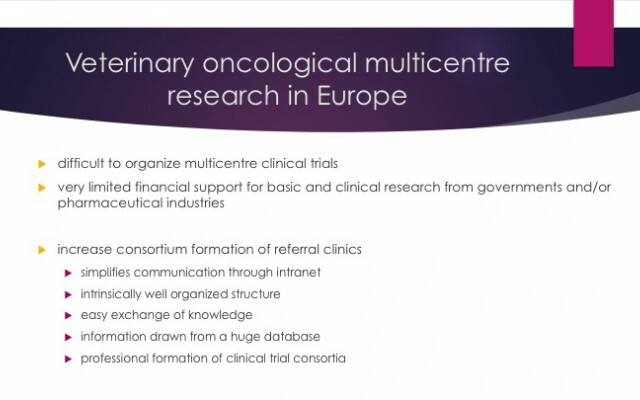 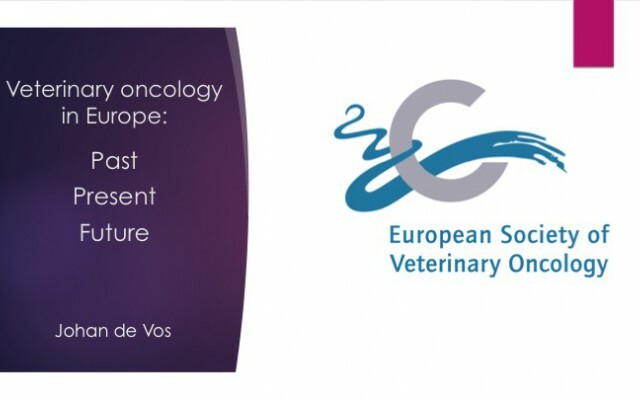 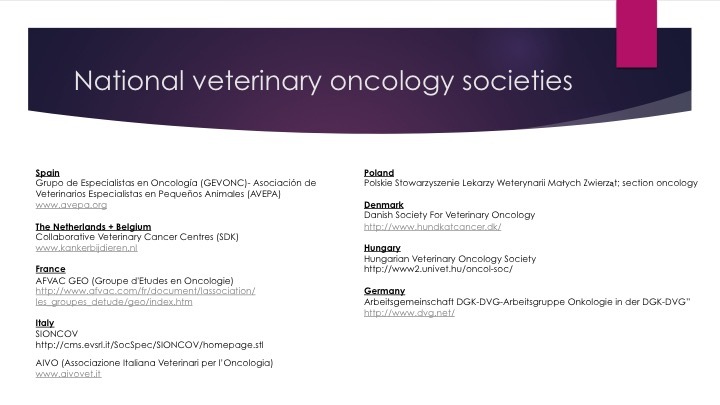 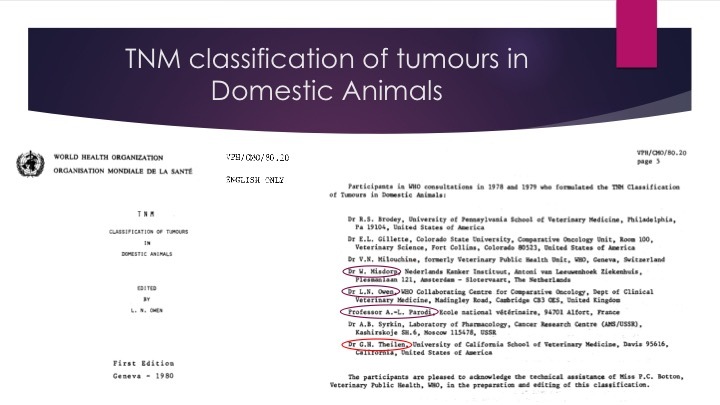 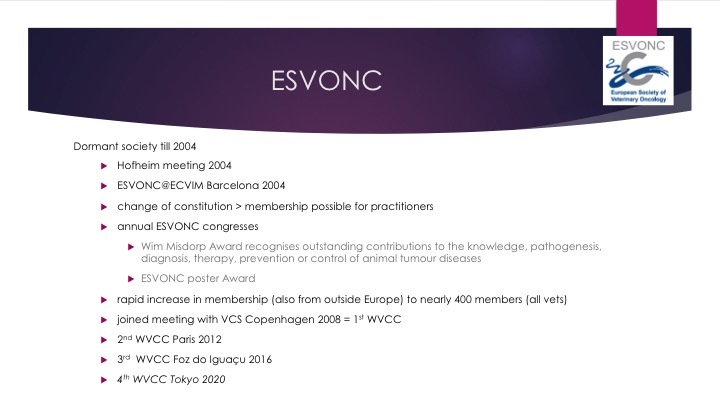 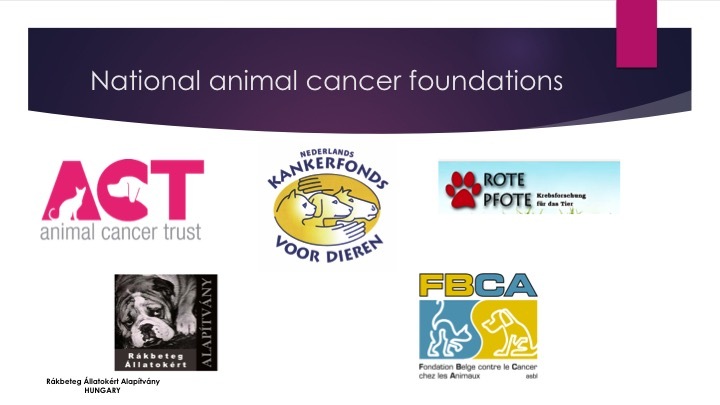 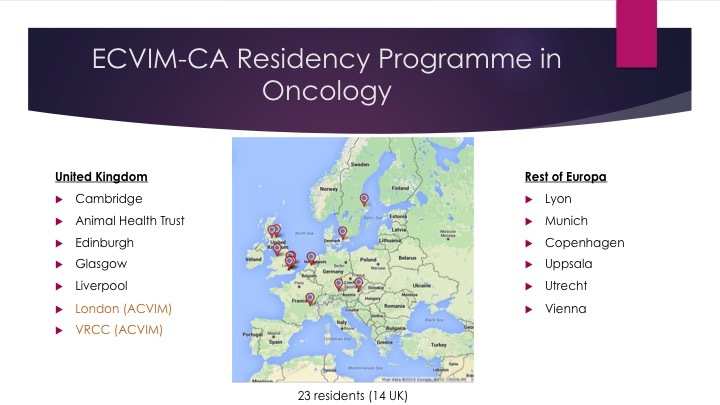 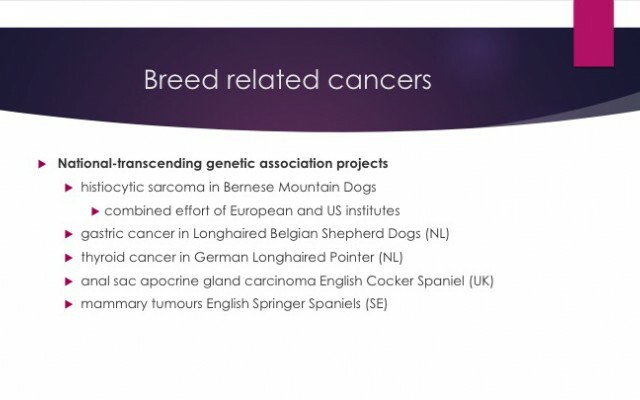 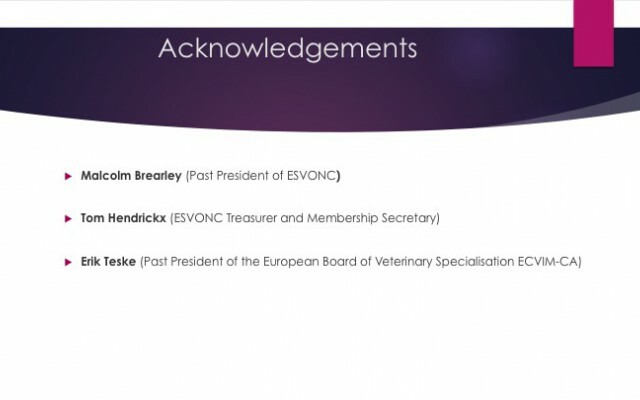 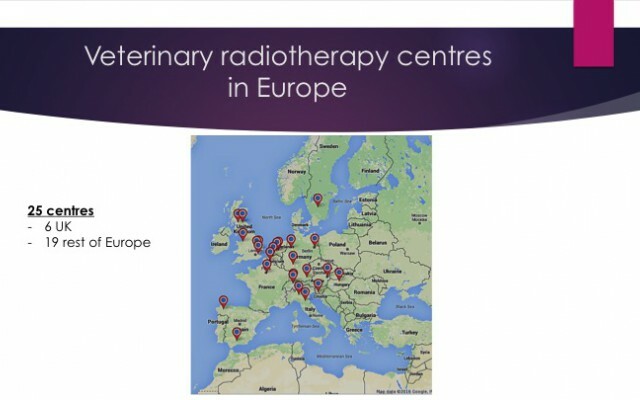 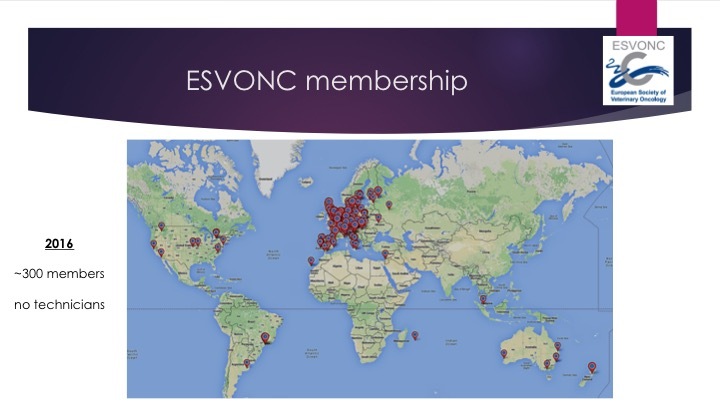 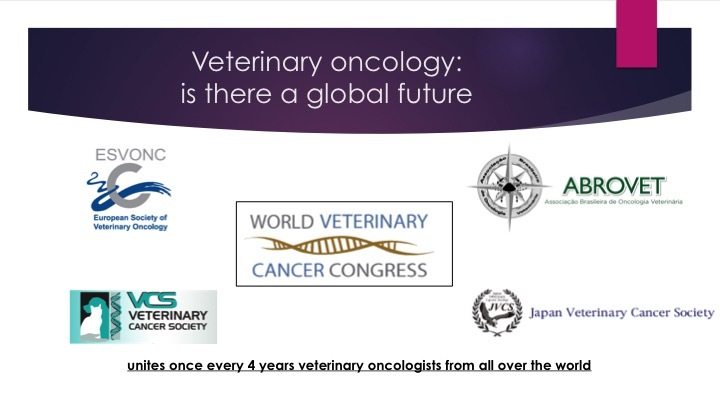 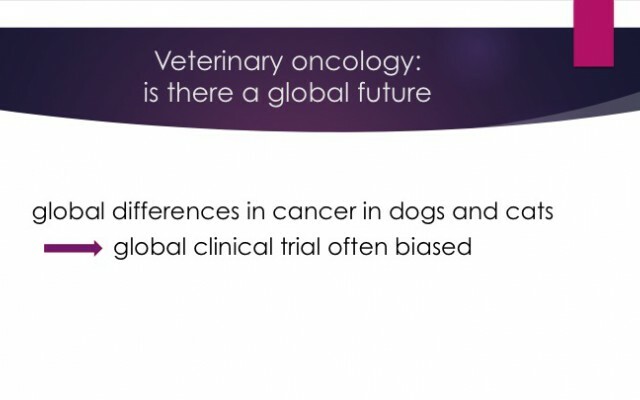 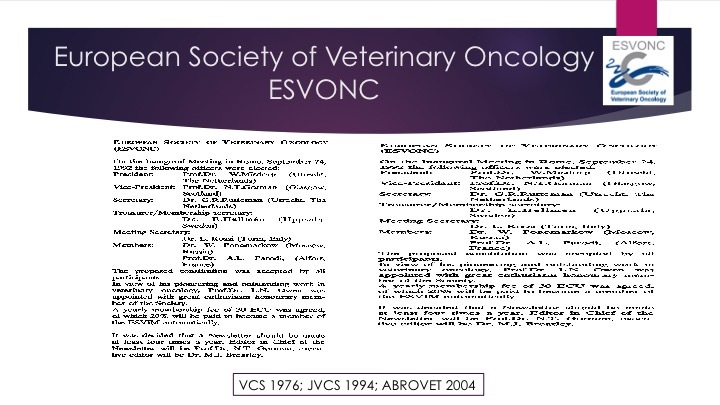 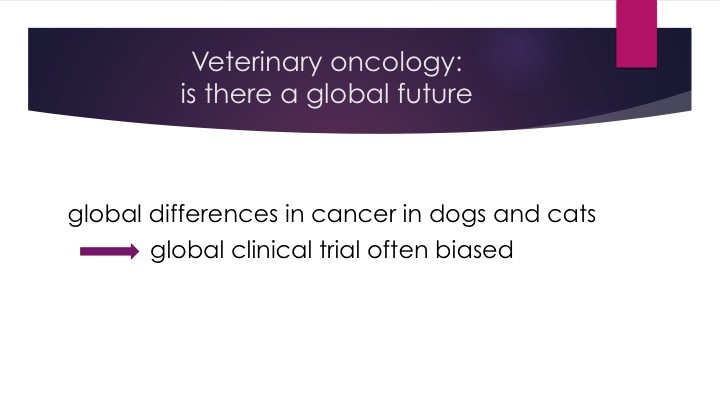 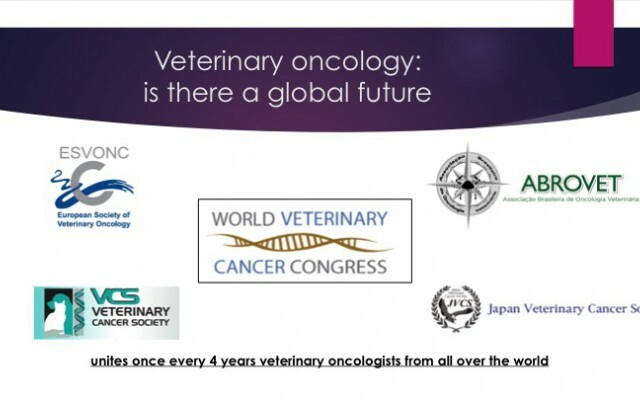 This lecture gives a good overview of the Past, Present and ideas for the Future of ESVONC and veterinary oncology in Europe. 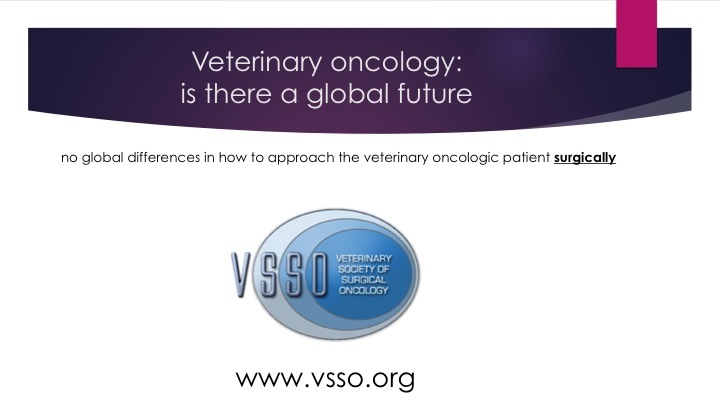 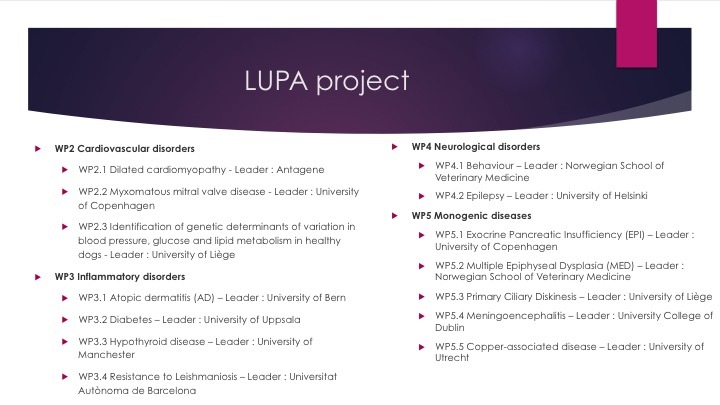 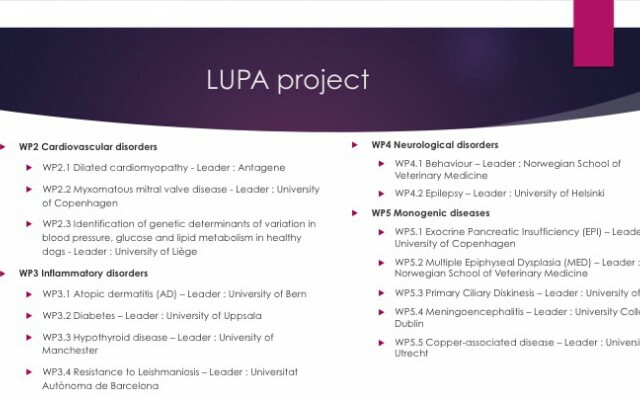 We thought it would be of interest to many to share this presentation as a slideshow (below) or as a pdf (click here). 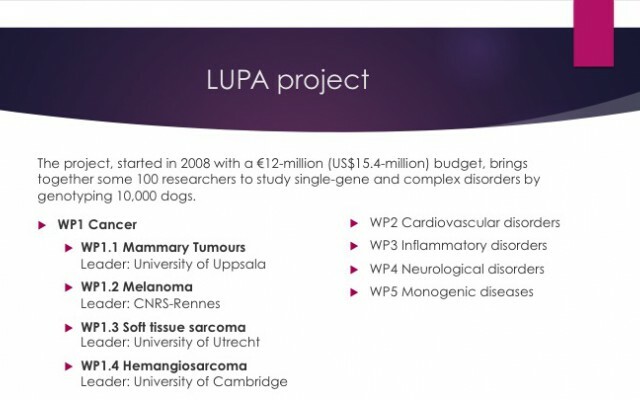 This presentation has been made with the help of Prof. Malcolm Brearley, Prof. Erik Teske and dr. Tom Hendrickx.